The 2019 INFINITI Q70L delivers a captivating profile and interior technologies that’ll never go out of style. Its available All-Wheel Drive (AWD) will automatically adjust to your driving conditions, so you can expect a smooth ride every time. To help keep you safe behind the wheel, the INFINITI Q70L has available features such as Predictive Forward Collision Warning, Forward Emergency Braking, and Backup Collision Intervention. 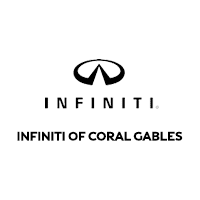 Take the 2019 INFINITI Q70L for a test drive today in Miami, Florida.